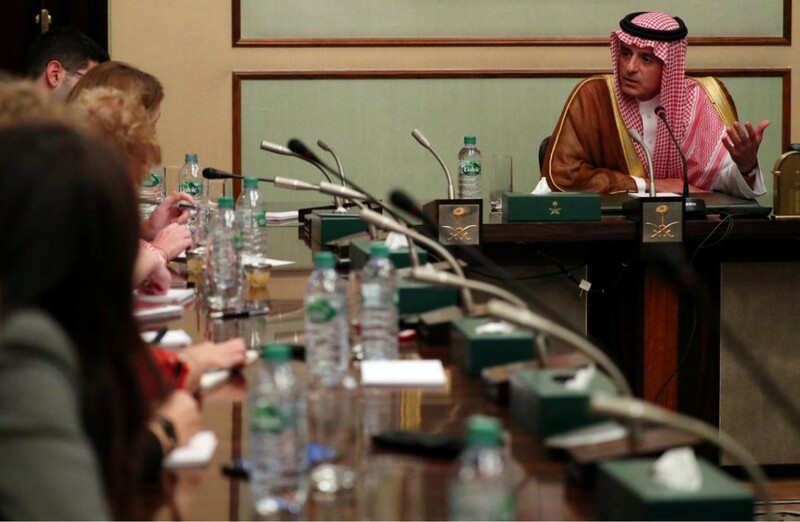 Saudi Arabia said on Tuesday that Iran’s talk of a possible rapprochement with the kingdom was laughable. Saudi Foreign Minister Adel al-Jubeir told reporters in London that Iran would have to change its policies for any rapprochement. Iran’s Foreign Minister Mohammad Javad Zarif last month said the Islamic Republic would soon exchange diplomatic visits after the regional rivals severed diplomatic ties last year. Iran’s Zarif was quoted by the Iranian Students’ News Agency (ISNA) that diplomatic visits could take place after the Hajj pilgrimage ends in the first week of September. But al-Jubeir said that diplomatic exchanges with Iran over arrangements for the Hajj did not represent a normalization of relations and that such contacts had nothing to do with politics. Relations between Iran and Saudi Arabia are at their worst in years, with each accusing the other of subverting regional security and supporting opposite sides in conflicts in Syria, Iraq and Yemen. Saudi Arabia, Egypt, Bahrain and the United Arab Emirates (UAE) severed ties with Qatar in June over Doha’s alleged support for militants.